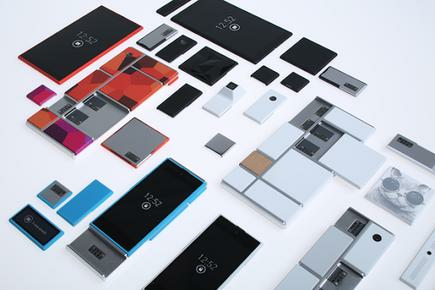 Motorola is developing a free, open hardware platform for creating highly modular smartphones. With Project Ara, Google-owned Motorola wants to create a third-party developer ecosystem around a customizable framewook that gives users more choice in the components that make up their smartphones, according to Paul Eremenko of the Motorola Advanced Technology and Projects group, Project Ara Team in a blog post. The project has been in the works for over a year. "We want to do for hardware what the Android platform has done for software: create a vibrant third-party developer ecosystem, lower the barriers to entry, increase the pace of innovation, and substantially compress development timelines," he wrote. The project consists of a structural frame called an "endoskeleton" that holds various modules in place. The modules can be anything ranging from a new display, keyboard, an extra battery or something not yet thought of, he wrote. The team is also working with Dave Hakkens, a Dutch designer that recently introduced a concept called Phonebloks, a vision of a modular, customizable and open smartphone platform. The idea has been met with a positive response. "We've done deep technical work. Dave created a community. The power of open requires both," Eremenko wrote, adding that Motorola would like to engage the Phonebloks community throughout the development process. Motorola will send an invitation to developers to start creating modules for the Ara platform within a few months, said Eremenko. An alpha release of the Module Developer's Kit (MDK) is expected to come out sometime this winter, he added. "It is a very interesting concept," said aid Geoff Blaber, a mobile analyst for CCSInsight. However, there are a number of technical and commercial barriers before this could become reality, he said. 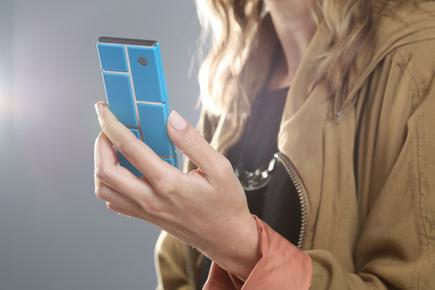 "The complexity of a phone that allows you to swap out components is significant," he said. Some components like screens are relatively easy to swap, but other components like CPUs require a lot of software integration and programming for the whole system to work well, he said. "I think that is one of the big challenges." Another problem is getting such a phone accepted by operators, he said. An operator takes on a product on the basis of components and software at the time a device ships, and changing components that potentially have an impact on performance could disrupt the service experience, he added. "There are different parts that need to align for this project really to come to fruition," Blaber said, adding that Motorola is the first of many players that need to be aligned to make this really work. However, these are just the first baby steps taken in this project and the barriers aren't necessarily insurmountable if the broader industry is engaged early on in the process, he said. But it is unlikely that there will be a widespread adoption of swappable component-based phones in 2014, he said.